Divine the answers to your most important questions and tune in to the natural harmony of the world around you. 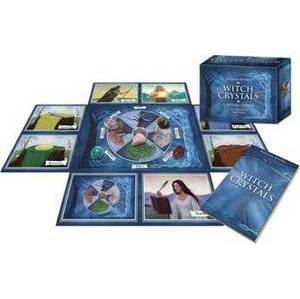 With five ritual stones, eight divination cards, a colorful Wheel of the Year board, and a 160-page book, The Witch's Crystals Kit provides everything you need to start an empowering journey of divination. Tap into the energy of the crystals, explore the magic of your inner self, and channel the ancient powers of the earth. Enclosed stones (with organza bag) include blue agate, green aventurine, red jasper, rose quartz, and white onyx.